Let me be straight up here, winter is my least favourite season. Last year we were able to escape for some winter sun, but sadly that's not on the cards this year so there are still several months of cold days and dark evenings ahead. 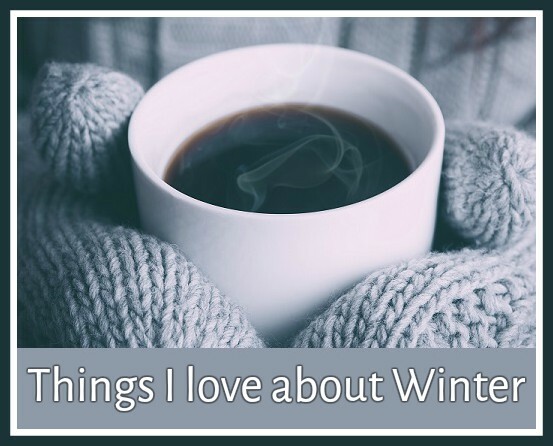 So I thought I'd write a list of the things that I do love about winter, to help cheer myself up while we wait for the sunshine! This post was partly inspired by one of the books that I received for my birthday -The Little Book of Hygge (affiliate link) - which I've been reading over and over. It really has helped me to think better of winter. My favourite sections are how to build a Hygge emergency kit and how to do Hygge on the cheap, it's definitely worth a read at this time of year! * Hot chocolate. I do drink hot chocolate all through the year, but this year I treated myself to a bag of mini marshmallows and I feel very decadent. It always tastes better when you've just come in from the cold. * Sitting with my back against a hot radiator. * Being cosy in bed in my fleecy pajamas with a hot water bottle. * Snuggling under a blanket or working on a crochet blanket while sitting underneath it. * Poinsettias, such gorgeous flowers, there's something about their shape and the colour combination that I love. 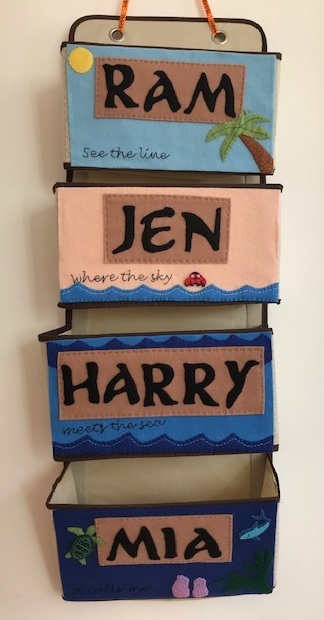 I have a mini one above my desk and a large one in the fireplace. * Snow, when we are lucky enough to have some! * Dark evenings - it can be gloomy but I like that it takes away the pressure to actually go out and do something productive like go for a run, I can just stay inside! * That feeling when you get back from the school run, come inside and shut the door, close the curtains, turn on the lights and enjoy the warmth, knowing that you don't have to go out again until the morning. * Making plans for the New Year, a new craft project, New Year's resolutions, decluttering and organising. * Wearing winter jumpers, both lovely thick ones and warm thin ones. * Comfort eating and not having to worry about how I look in shorts. * Seeing the sunrise and sunset. Our house doesn't have any windows that face East or West so we usually miss sunrise and sunsest, at this time of year I'm more likely to be out and about so I can enjoy them. * Hearing the wind whistle in the chimney while I'm warm and snug inside. * Making and eating lots of soup. * Lighting candles, both scented and plain. I treated myself to some lovely Christmassy candles this year which I'm enjoying very much. * Seeing the signs of spring, feeling the first warmth in the air, spotting the early crocuses and daffodils, and appreciating the longer hours of daylight. Photo credit - Alex via Unsplash. Post contains an Amazon Affiliate link. Have you read Making Winter by Emma Mitchell? She's the lady I did the silver clay workshop with and the book is really good! It's mainly about craft and nature as a way to combat seasonal depression and it has recipes, crochet patterns, things to do in/with nature, to help you through the season. And it's a beautiful book in itself with lovely photographs.